SecretIndianRecipe is proud to collaborate with Blogger Swati Mirchandani of PAIRentingBlog.com – Swati is a PR professional by day and a mum-blogger by night. The PAIRentingBlog is her journey & Ode to all things she is passionate about especially parenting. She is on a mission to make mealtime & cooking fun for kids and we are thrilled to have her on-board. With the increasing movement of healthy eating in India, more families have started creating the restaurant style dishes in their kitchens instead of eating out. Keeping in mind the “everyday restaurant style at home” cooking we have listed the 5 must have kitchen tools to create your perfect Indian recipes. Indian Cooking: 5 Must Have Kitchen Tools under Rs . . .
Airfryers have been around for a while, from Philips to Prestige almost every company has introduced their version of the Airfryer. The main reason being the growing trend of oil free eating. We see more and more home cooks slowly move towards cooking complete oil free meals for their family keeping health in mind. Suhan Mahajan’s Top 5 Airfryer Recipes – Indian St . . . Yes it's Holi again! And here's a collection of 10 of our favorite holi recipes ! Top 5 Amazing Holi Recipes From Our Super Homechef . . .
RHomeSecrets is a celebration of Indian regional cooking that brings together real home cooks to showcase their culinary skills, through unique and traditional recipes. Let our home cooks take you on a nostalgic culinary journey, reviving the ancient delicacies that have been long forgotten. Come and experience their secret family recipes and home cooked authentic flavors at Renaissance Hotel’s Lake View Cafe, Powai. A verification email has been sent to your mail id, please click on the link in the email to confirm your account.If you do not find the email in your inbox, check your spam folder. Welcome To Our Indian HomeCooks Community! A verification email has been sent to your mail id, please click on the link in the email to confirm your subscription. If you do not find the email in your inbox, check your spam folder just in case it may have slipped out in spam. 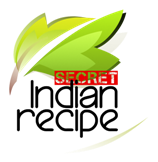 SecretIndianRecipe.com is the outcome of passion for Indian Home cooked food by three food lovers. An Engineer, a Marketer and a Stay-home mum. Our personalities are miles apart but our love for authentic Indian food brought us together to embark on this delicious journey- Secret Indian Recipe. We believe in providing value to everyone who visits this site. If you are a blogger, a home cook or simply exploring Indian recipes to cook, this site is for everyone.